Hong Kong, March 30, 2015 — /EPR INTERNET NEWS/ — FlipHTML5 has recently taken the initiative to show governments how beneficial flip book maker software can be to streamline their public announcements, content creation efforts, documents, and delivery methods in their daily operations. Citizens want excellent services in all localities, and digitalization guarantees that citizen services will be greatly enhanced in the “information era” that the world is currently in. As more and more governments make the move to go digital, they will need strong solutions to make their content delivery approaches efficient and secure. FlipHTML5 not only helps digitalized governments to create great content, it helps them too effectively and securely deliver the content across many channels simultaneously as well. Security is a high priority to every government since so many regulations are in place, so FlipHTML5 is the perfect cost-effective solution for governments on local, state, and national levels. HONG KONG, March 23, 2015 — /EPR INTERNET NEWS/ — FlipHTML5, a Hong Kong based digital publishing software company announced the results of its customer satisfaction survey. The company conducted the survey to understand the features customers found most valuable, and modify pricing plans for the premium version of FlipHTML5 flipbook software. The FlipHTML5 Animation Editor is designed to work across a range of popular platforms including Mac, and PC. Features of the product include the ability to produce HTML flipbooks, with rich media features such as video. These new media features have become popular with content producers for their enhanced ability to engage customers and build a lasting bond with their readers, audience, or customers. Hong Kong based FlipHTML5 is a leading digital flipbook software company, producing the very popular FlipHTML5 Animation Editor. The company has worked extensively with dozens of Fortune 500 companies across a range of different industries such as fashion, finance, gaming, and film. 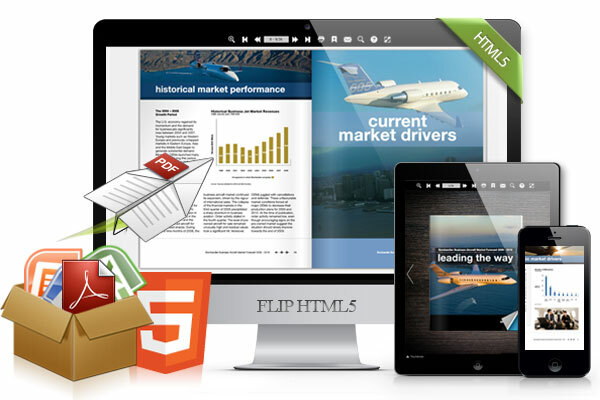 Since the launch of the inaugural version of the product, over 3 million users, and 10 million publications have been produced using the FlipHTML5 flipbook solution.